This is to inform the general public and interested applicants that the UNILORIN sandwich portal has been opened for the 2019/2020 contact session application.To apply for the form, kindly read through the details of available programmes, method of application and payment below. A Bachelor of Education Degree (B.Ed. ; B. A. (Ed. ); B.Sc. (Ed. ); B. Tech (Ed.) 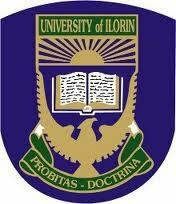 with a minimum of Third Class Honours from the University of Ilorin or an equivalent Degree recognised by the Senate of the University of Ilorin. A Bachelor’s Degree (B. A.; B.Sc. ; B. Tech) with a minimum of Third Class Honours and Postgraduate Diploma in Education (PDGE) recognised by the Senate of the University. For detailed of admission requirements, interested applicants should visit Unilorin website and click on Institute of Education portal for the online application. Then Click to Make Payment of N10,150 including the online charges and excluding the Remita charges. (Do not Refresh your browser while the process is going on to avoid multiple deductions from your account. If nothing is displayed after 10 minutes, close the browser and restart again). To add more Higher Academic Qualifications click on qualifications drop down to select your additional qualifications click on save; and Click on Next Step.